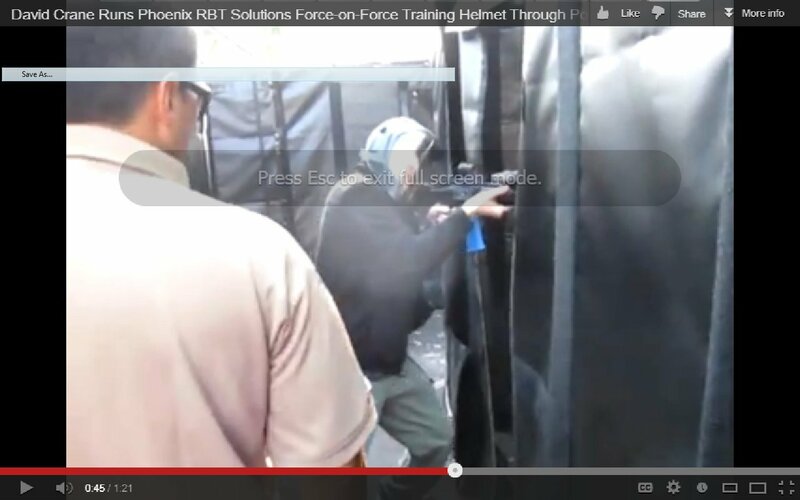 Phoenix RBT Solutions Portable Training Facility (PTF): Mission-Configurable Shoot House for Force-on-Force Gunfighting and Tactical Shooting Training with Ultimate Training Munitions Man Marker Rounds (UTM MMR) (Video!) | DefenseReview.com (DR): An online tactical technology and military defense technology magazine with particular focus on the latest and greatest tactical firearms news (tactical gun news), tactical gear news and tactical shooting news. All photos and the top/first video clip contained in this article were shot by DefenseReview.com, and are copyrighted. DefenseReview.com owns the copyright on these photos and top/first video clip. The photos and top/first video clip embedded below were shot with a Canon PowerShot S90 10-megapixel digital camera (still camera with video capability). If you want to be able to run and gun with force-on-force training ammo (ammunition) anytime anywhere, you're going to need a portable, mission-configurable shoothouse. 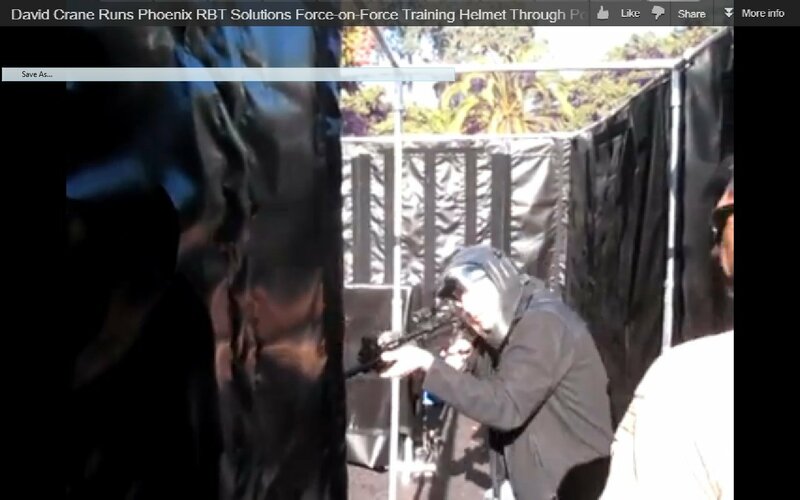 DefenseReview now has a good amount of experience with the Phoenix RBT Solutions Portable Training Facility (PTF), and it's a pretty cool system. DR first utilized the PTF shoothouse on a military base while doing some pretty intense force-on-force CQB/CQC (Close Quarters Battle/Close Quarters Combat) gunfighting embedded with military personnel being trained by one of the best instructors in the country. Defense Review helped assemble the shoothouse with the Phoenix RBT Solutions team at the beginning of the course, and found it to be pretty simple and straightforward. You can configure the shoothouse literally any way you want to (as a single-level), the only limitation being your imagination. The reactive target system inside the shoothouse was the Tech Valley Technologies (TVT) Human Interactive Target System (HITS), which is a 3D reactive target system with hit-location/tracking technology, so you can see how many hits you get on a target and where all those hits occur. 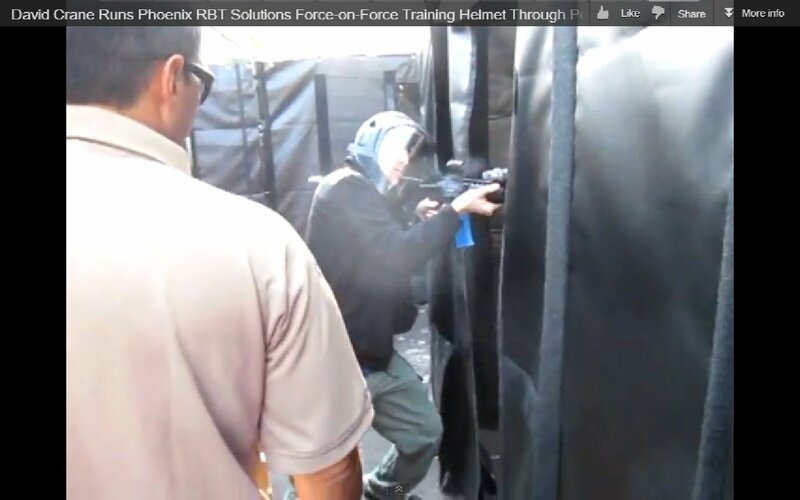 The Phoenix RBT Solutions Portable Training Facility was developed specifically for training with Ultimate Training Munitions (UTM) force-on-force training ammo/marking rounds. In the course, we primarily used 5.56mm NATO (5.56x45mm NATO) UTM Man Marker Rounds (MMR) with the requisite AR, M16, M4 / H&K 416 Series TBR Conversion kit, but 9mm Parabellum/9x19mm NATO UTM Man Marker Rounds (MMR) and 9mm Pistol Conversion kits were also on hand. The 5.56mm UTM MMR rounds were totally reliable, even in SureFire MAG5-60 HCM (High Capacity Magazine) 60-shot quad-stack rifle mags. The video clips below were shot subsequently at HALO Counter-Terrorism Summit 2012. © Copyright 2012 DefenseReview.com. All rights reserved. This content/material may not be republished, broadcast, rewritten or redistributed without first receiving permission and providing proper credit and appropriate links. Ultimate Training Munitions (UTM) 5.56mm Man Marker Round (MMR) Force-On-Force Training Ammunition/Marking Cartridges in SureFire MAG5-60 HCM 60-Shot Quad-Stack AR-15/M16 Rifle Magazine: Gunfighting Training Made Awesome! Virtra Systems Use-of-Force Firearms Training Simulator: Immerse Yourself.